Home » Train Well » Gym-phobia? 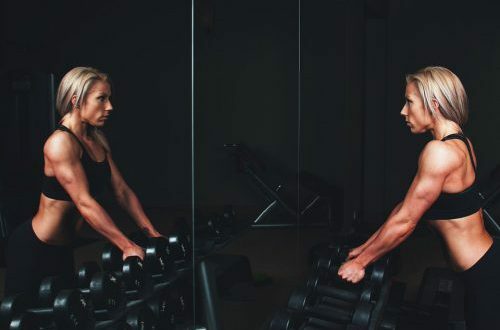 Most of us, no matter how experienced or confident we are, have experienced that feeling of walking into a crowded gym and feeling completely overwhelmed. Maybe you don’t like it when someone takes the treadmill right next to you (when there are ten open ones elsewhere…) or maybe you like to do your stretching in peace without the fear of someone watching you do so. Or, you simply don’t enjoy working out in front of other people. All these feelings are normal! In order to overcome those negative feelings, try to pinpoint the root of your fear. Do you feel embarrassed using certain equipment or a machine incorrectly? If this sounds like you, utilize the gym staff to your advantage. See if your facility offers a complimentary session with a trainer or ask if you could make an appointment to take a tour. You could also start out by using simple weights or kettlebells and doing some research before going to the gym. Find a routine online that feels doable for you and bring that with you. You dropped a weight or tripped over something? No big deal. More likely than not, it’s happened to the best of us, try not to ruminate over it. Do you not like being seen at the gym alone? Start off by visiting the gym during non-busy hours. Early morning, typically around 6:00 am to 7:30 am is when people tend to go before work, and late evening around 6:00 pm to 8:00 pm is when people will go after work. If your schedule permits it, try going around late morning or early afternoon. This way you can test out different machines or search different areas of the gym. You could also try signing up for a class (if your gym offers them). You may even meet a gym buddy and can coordinate schedules together! Wherever your nerves or anxiety come from when going to the gym, remember that everyone is typically only concerned about themselves! Don’t be too hard on yourself. This should be something enjoyable for you and your body will thank you later. With more practice and experience, you’ll be over your fears in no time. Previous Three Ways To Increase Your Creativity!